Cucumber, Lettuce, Nasturtium, Peas and Corn salad. Best sown direct. Can be sown in all but the hottest and coldest months. Can be harvested once roots have attained sufficient size. 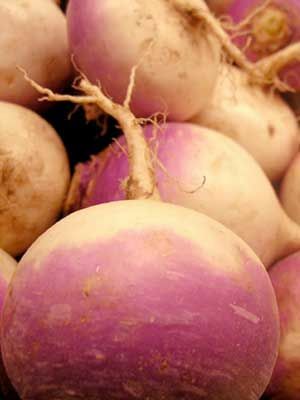 Turnips left in the ground for too long will become woody.